First Lady Betty Ford will long be remembered for her active support of the Equal Rights Amendment, her struggles with breast cancer and substance abuse, and her later involvement with the addiction treatment center that bears her name. But perhaps more than these, Betty Ford will stand as a paragon of candor and courage, an outspoken woman whose public positions did not always conform with those of her husband. An independent, free spirit who regularly ranks among the most-admired First Ladies, Betty Ford is considered by many to be the most outspoken since Eleanor Roosevelt: she spoke her mind publicly and frequently, sometimes sending the presidents political advisors running for cover. This is the first book to address the successes and failures of her advocacy, the effect of her candor, and the overall impact of her brief tenure as First Lady. John Robert Greene traces Betty Fords problems and triumphs from her childhood through her husbands entire political career, including his controversial presidency, which thrust her into an unrelenting media spotlight. He then tells how she confronted her personal demons and became a symbol of courage for women throughout the nation. Contrasting the sometimes harsh assessments of historians with the respect in which she continues to be held, Greene examines Betty Fords outspoken opinions on abortion and womens rights and suggests that her views hampered Gerald Fords ability to forge a coalition within the GOP and may well have been a factor in his presidential defeat. 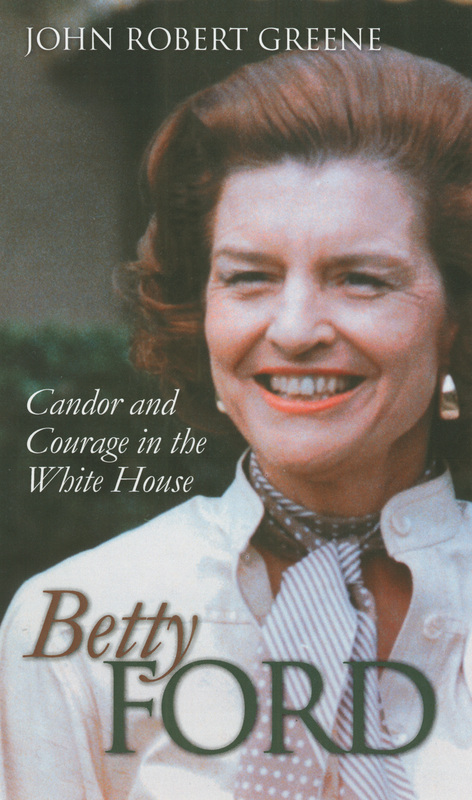 Afterwards, as the author highlights, Betty Ford remained a role model for people suffering from addictions and personal pain, and made seminal contributions in the field of public advocacy for womens health issues and substance abuse. The Betty Ford Center especially stands as a lasting tribute to her foresight and caring. Greene concludes that, while Gerald Ford wanted to restore an aura of honesty to the presidency, in many ways it was his wife who accomplished this instead. His book, the first to draw upon her papers at the Ford Library, captures her courage and candor and tells why she will always be remembered—for who, not what, she was.